211 Bernard: TOMORROW FROM 3-5 PM: Book Signing with Marc Maron!! TOMORROW FROM 3-5 PM: Book Signing with Marc Maron!! 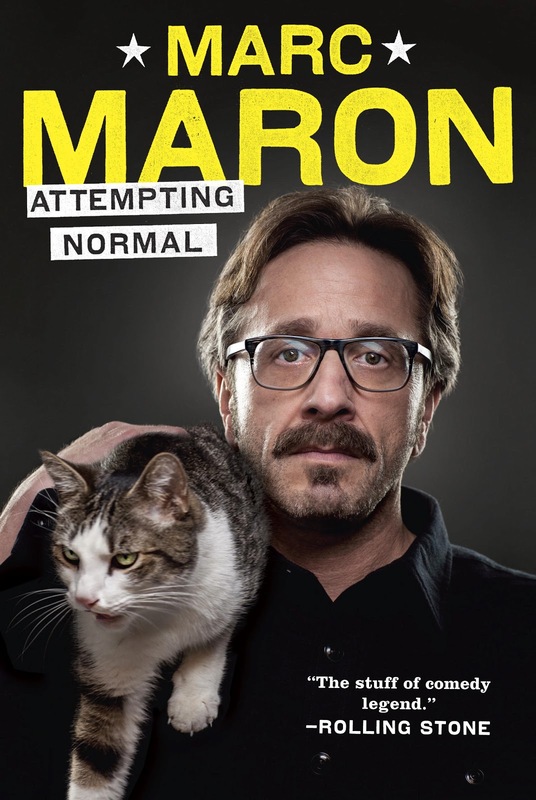 Marc Maron will be at the store signing copies of his new book, Attempting Normal, on Saturday, July 27 from 3 to 5pm! Marc Maron is a long-time comedian, the creator and host of WTF podcast (highlights of the past couple months include interviews with Community and Mad Men's Alison Brie and CCR's John Fogerty) and the star of the new IFC series Maron. Attempting Normal is Marc Maron’s journey through the wilderness of his own mind, a collection of explosively, painfully, addictively funny stories that add up to a moving and hilarious tale of hope and hopelessness, failing, flailing, and finding a way. "A startlingly honest, compelling and hilarious comedian-poet. Truly one of the greatest of all time." Saturday, July 27 from 3 - 5 pm! 211 Bernard Ouest!